Spectrum Surfaces serves clients in residential, industrial, commercial, and municipal settings. Spectrum delivers superior customer service with thorough consultation and education to ensure the exact specifications are met for each application. We pride ourselves in extensive technical knowledge, meticulous execution, professionalism, and integrity. Whether the job is 100 square feet or 50,000 square feet, Spectrum ensures that the specific processes necessary for optimal outcomes are followed. Spectrum’s attention to technical knowledge and customer communication are advantages that will achieve optimal outcomes that outlast others. Most surfaces we install can withstand a wide array of items that would destroy tile, wood, and even concrete. Liquids such as oils, fuels, acids, caustics, and cleaners clean up easily. Spectrum uses only products that are safe for the environment and that are low to zero VOC. 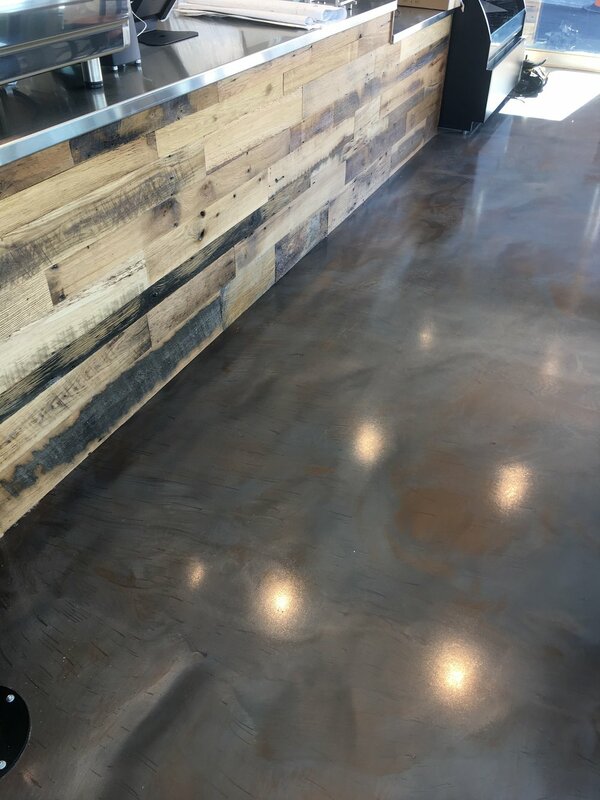 Across corporate, industrial, retail, and residential environments, floors must withstand many mechanical and chemical elements. 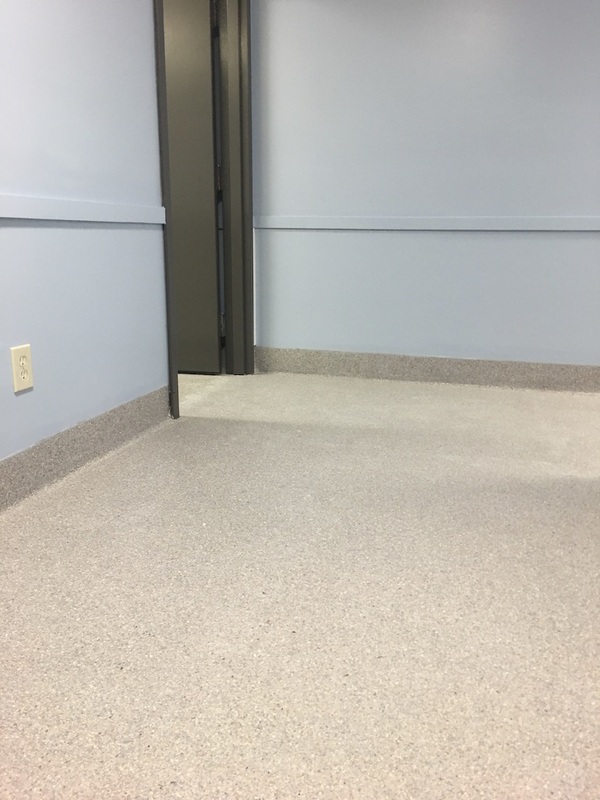 Spectrum installs products that can make a floor easier to maintain, more durable, more hygienic, more slip resistant, and more visually appealing. Spectrum installs both resinous and cementitious coatings that range from single to multiple coats. Some products can be installed over wood or other surfaces where concrete is not the substrate. Spectrum restores interior and exterior concrete or concrete finishes. 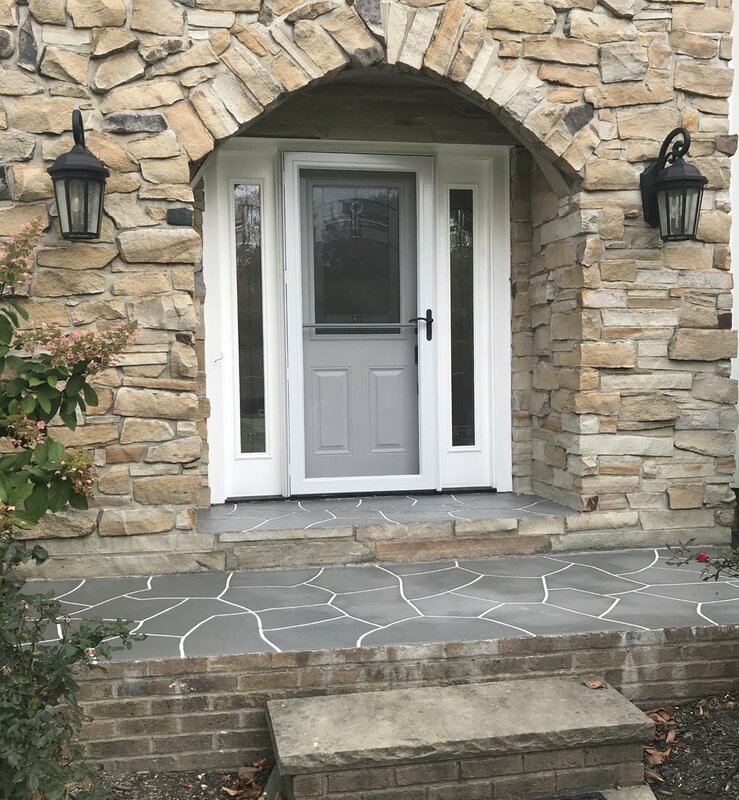 Concrete that has deteriorated in appearance and integrity does not always have to be replaced. Spectrum offers truly effective measures and products that restore integrity and appearance, often to levels better than new. Restoration can involve simple cleaning, staining, or applying sealant. Other surfaces require removal of top layers and resurfacing. Spectrum can remedy failed coatings, epoxies, natural stone, and overlays that have deteriorated. It can be difficult to visualize a defunct floor in a stunning revitalized condition. Often, clients ask, "is my floor beyond repair?" While there are some conditions that would not be appropriate for restoration, a thorough consultation and evaluation of the project ensures that partnering with Spectrum will include the right decisions regarding process and product for the project. Below are some projects that involve common problems. The before and after photos give a sense of what can be done without replacing concrete. Furthermore, all of the examples below were projects where the end result was far below the cost of replacing the concrete. An epoxy floor, Joe Maxx Coffee on Public Square in Cleveland-Before Spectrum Surfaces began this transformation, this floor was in a state of disrepair. Many different materials were present, years of deterioration, and failed patching had to be stabilized. After a great deal of prep work and remedy of multiple issues, Spectrum installed a vapor barrier, primer, and a 2 color metallic epoxy floor topped with a urethane protective coat. This is a great example of how Spectrum can dramatically transform a surface. A Vinyl flake floor system installed in a water damaged lower level with a failed epoxy coating-Before Spectrum installed a flake system, the old coating had to be removed to clean concrete and the seamless integral base cove had to be removed and re-built. A repaired brewery drain after failed terra cotta tile- The Butcher & the Brewer in Cleveland brews top quality beers. The process involves near boiling temperature wash downs, caustic, and acidic fluids that the tile around this drain could not handle. Spectrum Surfaces installed urethane cement that is far tougher than epoxies, tile, or just about anything else, when it comes to thermal shock, pH extremes, and impact. A flaked floor to replace failing natural stone- Natural stone floors look good, but installers of these common floors often overstate the durability and promote the "breathability" of the porous floor. Natural stone floors use epoxy and small stones but they are not as clean as a monolithic epoxy or flaked floor due to the natural stone being porous and able to hold water, debris, and contaminates like salt. 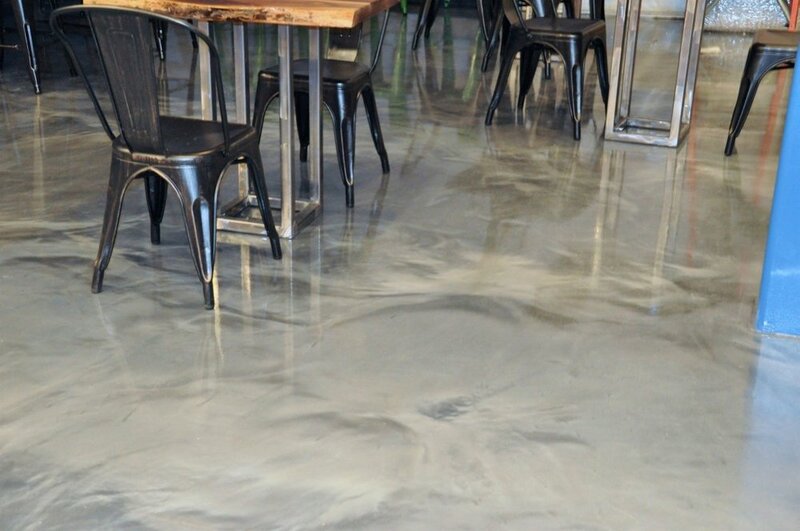 Even with the "breathability" aspect of natural stone floors, epoxy is still bonded to 80% or more of the concrete and will fail with moisture issues, as will any epoxy floor. Installers of natural stone will claim that epoxy or flaked floors aren't as good because they don't let the concrete breath. The reality is that any floor with moisture issues, wether it can "breath" or not, will not do well with any covering, carpet, wood, epoxy, tile, natural stone, or even a throw rug. A monolithic epoxy or flaked flooring system is superior in that it will not trap dirt, moisture, and chemicals in the gaps between stones which will lead to failure as illustrated below. The 2 photos on the right show the finished flaked, polyaspartic sealed floor, matching the original color of the natural stone. A vinyl flaked floor over a spalling and failing garage floor- The prep phase of this project was more involved that with a floor in better condition. All loose material and previously applied material had to be diamond ground. Cracks were filled and the surface was evened out before a vapor barrier was applied. The client wanted the monolithic, or seamless, surface to continue up the garage foundation walls to ease cleaning. A worn out patio gets a new overlay- his before and after tells all. The new look was a custom color made on site to compliment the siding and trim colors. This is a top coating overlay and no concrete was replaced. All done for a fraction of the cost of replacing and the look will outlast stamped concrete. Play CLE, the nation's largest indoor adventure park, features 25,000 square feet of ropes, climbing, zip line, ninja warrior courses, parkour, and more! Spectrum Surfaces installed metallic epoxy and resin floors throughout the facility. Ready to get started? Send a message using the form below and we'll get back to you as soon as possible.